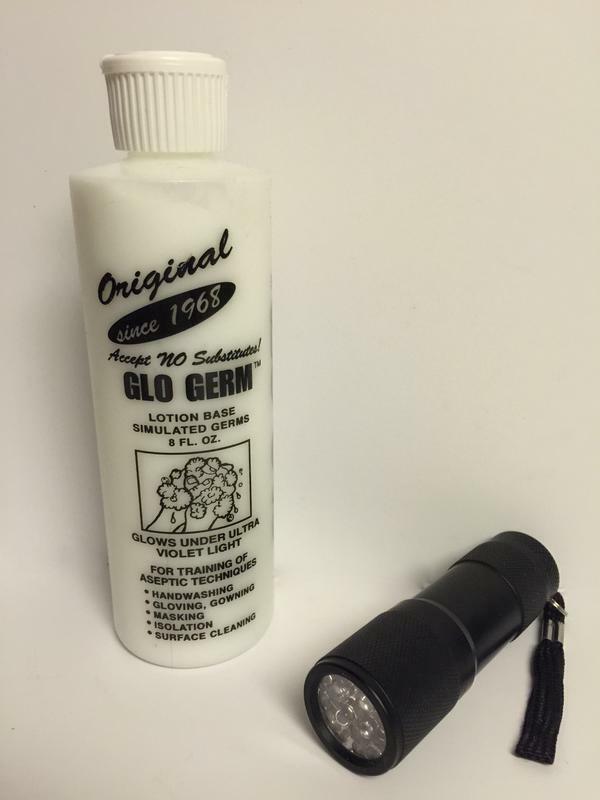 Glo Germ is one of the most effective ways to train students and staff the techniques of proper hand washing and cross contamination of how germs spread. 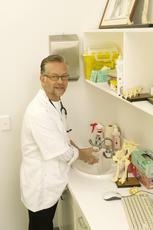 It is used in the food industry, health care, hospitality, and in schools to teach students the importance of hand washing. 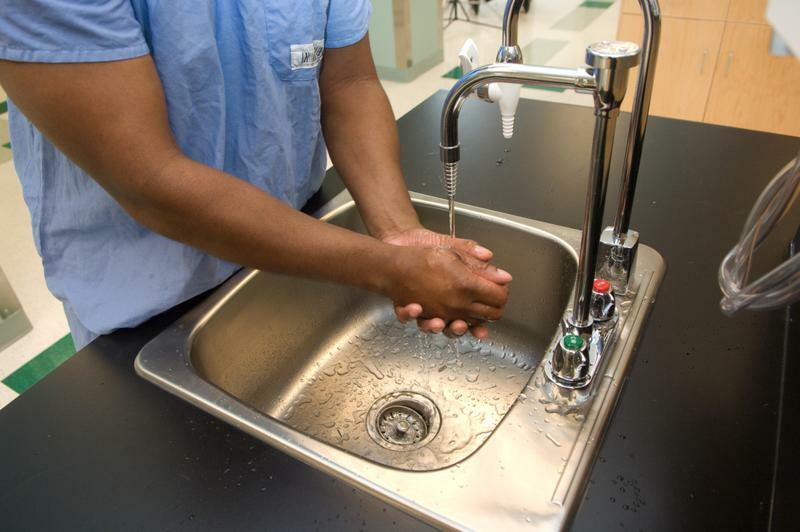 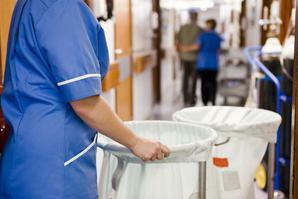 Every year disease and viruses are spread through contact and one of the best ways to reduce this is by instruction of proper hand washing training. 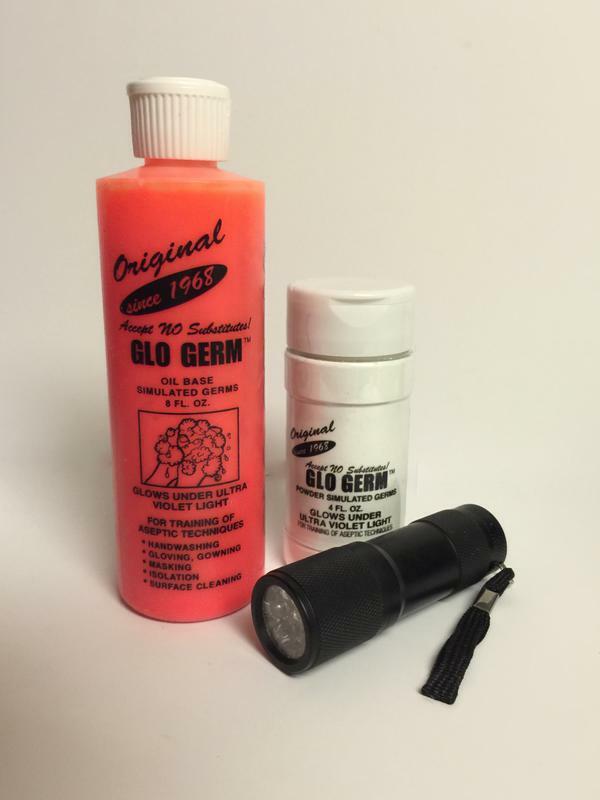 Glo Germ has been used since the 1960's. 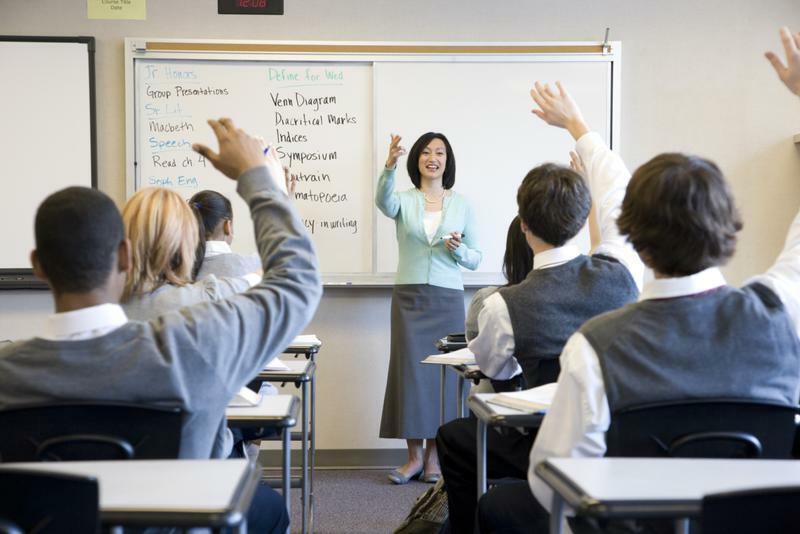 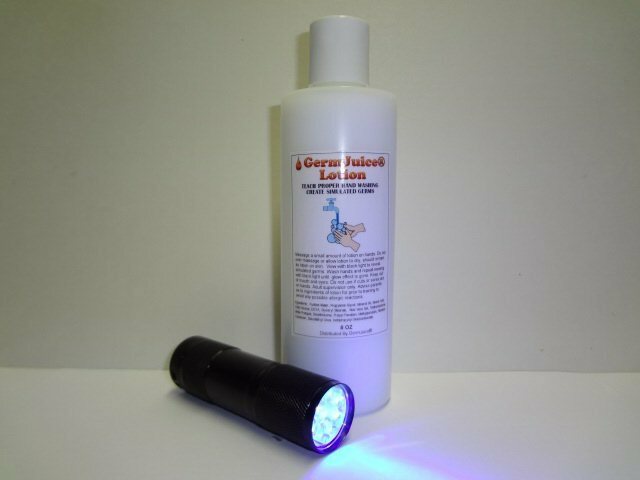 Fluoresces brightly under a black light and is a highly effective educational tool. 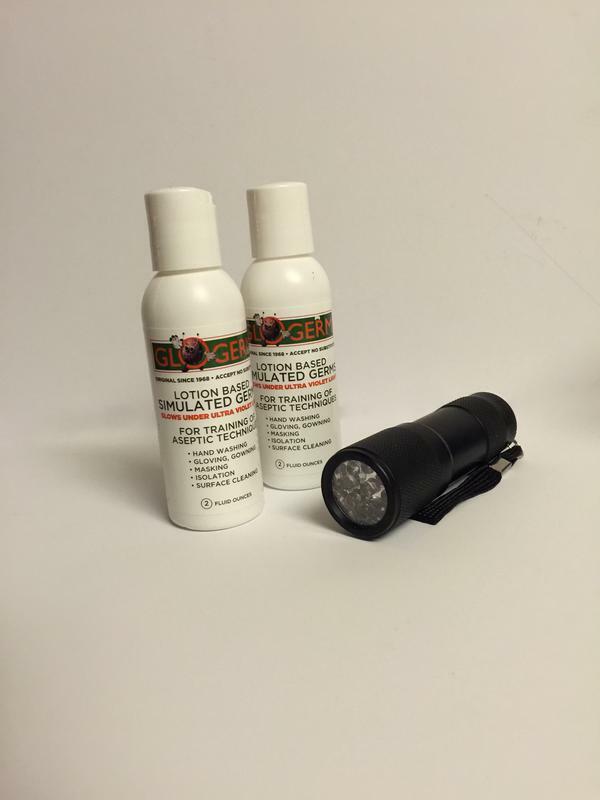 Globright is an authorized distributor of GloGerm products. 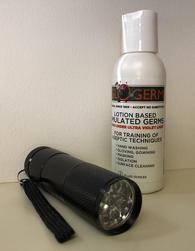 For over 10 years, Germjuice® and Germ Juice powder has been effectively teaching these techniques in the restaurant, medical, hotel and hospitality, industry. 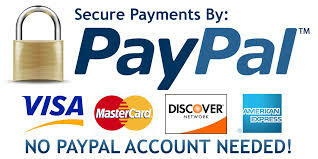 You can purchase our products individually or in specially designed kits for your specific needs.